One of 15 beds in the emergency room at Point G, the largest public hospital in Mali. The monitors do not work, and sticks are used as IV poles to deliver fluids to patients. Photo courtesy of Project C.U.R.E. An assessment of health facilities found entire wards devoid of equipment and supplies. We can do better. Can you imagine walking into a hospital room, pregnant and scared, and seeing broken medical monitors, stained beds, and sticks being used as IV poles? For many women in rural Mali, this is a reality—and one of the only alternatives to suffering at home, away from the watchful eyes and skillful hands of trained health workers. In Mali, high fertility, low use of modern contraceptive methods, early marriage, and a tendency for women to give birth at home place an estimated 2,400 women per year at high risk of obstetric fistula—a debilitating childbirth injury that’s virtually nonexistent in wealthier countries. Most of these women live in rural areas, often over 15 kilometers from a health facility. The top three items requested: oxygen concentrators, surgical kits, and clean mattresses. Last year, IntraHealth International helped build a new welcome center for fistula clients at the Sikasso Hospital in southern Mali. And over the last several years, we’ve trained 25 obstetric fistula teams—each one including a surgeon, anesthetist, nurse, midwife, counselors, and family planning support—to work in regional hospitals and health centers. Next we’ll be outfitting these centers with fistula-specific supplies and equipment, so they can provide better care for clients throughout northern Mali. When Project C.U.R.E. 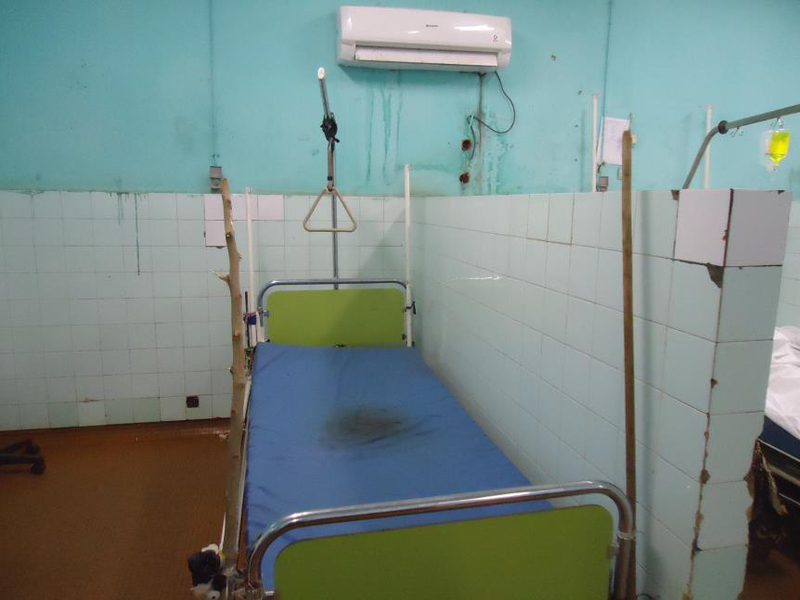 collaborated with IntraHealth to assess facilities in Mali last year, we found that some housed entire rooms and wards devoid of equipment and supplies. Many more were doing the most they could with broken beds, utensils they were unable to sanitize, and/or a dearth of equipment tailored to clients’ needs. The assessment also revealed a list of high-priority supplies and equipment specifically related to fistula treatment and prevention. The top three items requested: oxygen concentrators, surgical kits, and beds with new, clean mattresses and linens. The physical and mental toll of fistula on a woman is severe enough without the indignity of recovering in a broken bed without proper bedding. We can ensure that women who suffer from fistula have not only the health care they need to recover, but also the provisions that many in other places in the world take for granted: anesthesia, exam lights, a clean towel. You can change a woman’s life today and improve fistula care and treatment throughout Mali. Through IntraHealth’s Fistula Mali Project, which is funded by the US Agency for International Development, we train and coordinate with health workers to provide the surgical procedure that can cure fistula, and with the social, psychological, and economic skills and resources women need to rejoin their communities. Learn more. Also read: How Much Love and Healing Can We Squeeze into One Mali-Bound Shipping Container?